Systematic inventory of all potential hazards / risks. Identification of the critical control points (CCPâs) : points in a stage where the risk can be avoided or minimized. Select critical barriers / indicative values and tolerated nonconformities per CCP. Capture corrective actions to reinsure safety. Set up verification procedures : repeated inspection to make sure the HACCP approach is working properly. Update documentary system : handbook â recordkeeping. Origin: HACCP took its roots from US aerospace travel : Overdue food products could not be returned to the factory to get fresh replacements. Possible failure of a high-priced mission through food intoxication would be an unacceptable risk. To guarantee and improve food safety : this requires high priority and is maintained by determining and keeping under control the hazardous health risks in manufacturing and handling processes. Minimize the risks : this control program, originated by the European Union, is designed to constrain the potential food contamination risks (microbiological, chemical, physical) in all food processing areas. Consideration of hazardâs frequency and severity rate (risk = probability x effect). Fast and efficient interference in case of contamination problems. Achieving a total quality management system. HACCP certificate : to be used as a quality standard. Manufacturerâs actions are structurally monitored. Commercial advantage : this kind of food safety quality program is required by most customers. CRC Industries Europe launches a complete range of NSF registered products. These products will support existing HACCP programs or help establishing a new HACCP system. 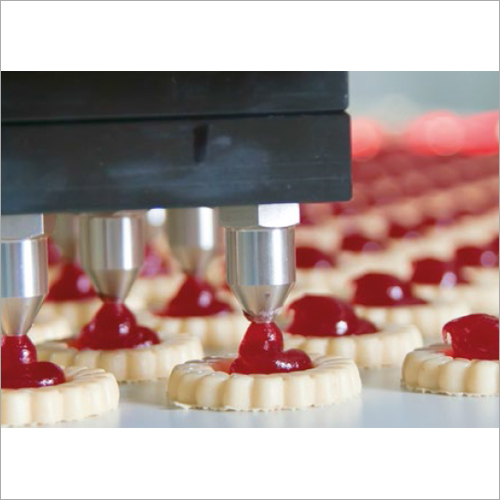 We are able to supply the food processing industry with a full range of required NSF registered products. We offer a full documentation and product training. The unique color coding CRC developed, enables a better control of the critical control points in the production process.